Here is a pre-Veterans Day salute to the Army officer for whom I was named, Capt. Philip Ingraham from Massachusetts, who went into the Army in 1942. He was killed in action in France in 1944. My dad, Harry Raymond (Ray) Roberts, served under Ingraham and had a great deal of respect for him. Following are some excerpts from my dad’s World War II memoirs regarding Ingraham, who is pictured here. 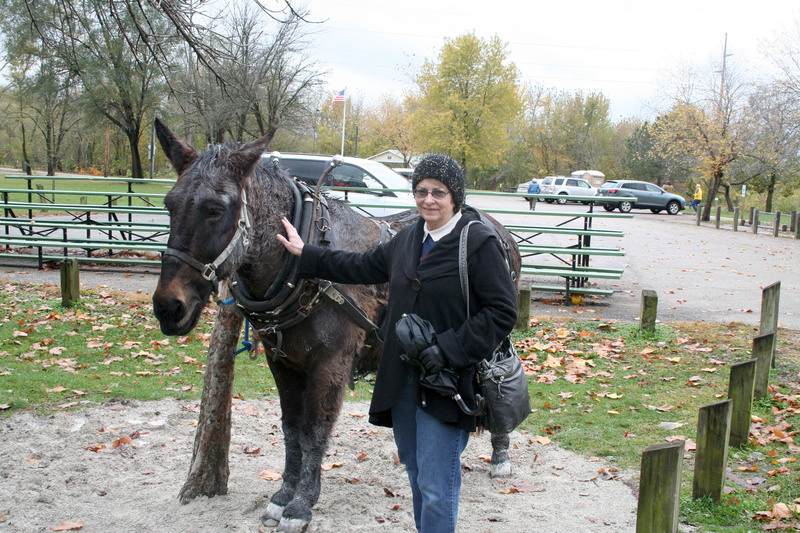 When my wife rode on the mule-pulled LaSalle Canal Boat (http://www.lasallecanalboat.org) with the Plus 60 Travel Club earlier this year, I was under the weather and opted out of the trip. I was feeling better in late October wanted to ride the boat before it closed for the season at the end of October, so I reserved two seats online and we headed to LaSalle, Ill. 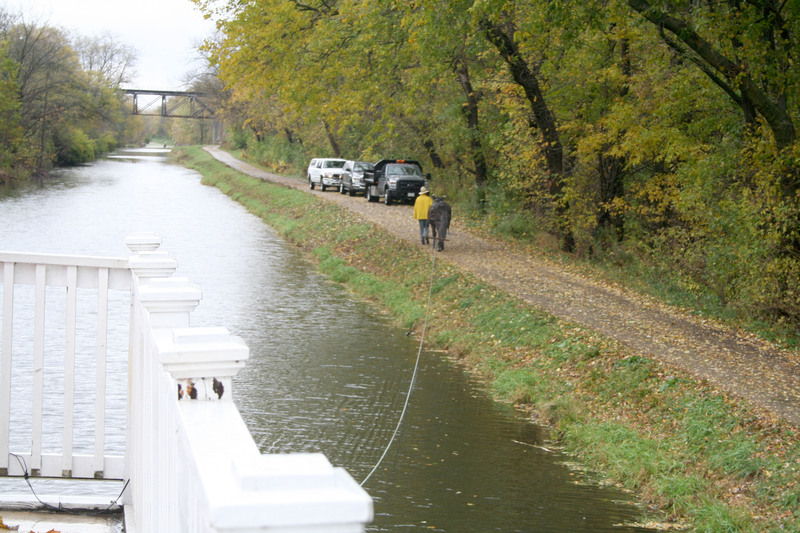 The LaSalle Canal Boat is a full-size replica of the 1800s canal boats that once carried passengers and cargo on the I&M Canal. 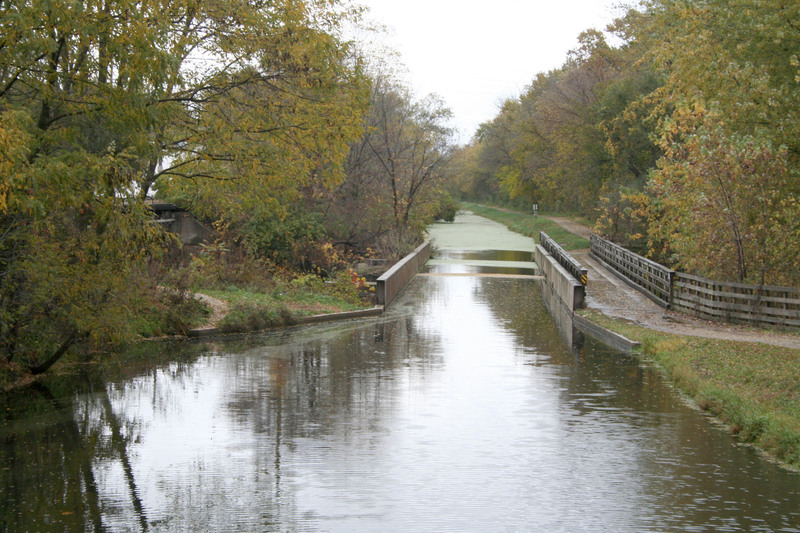 The hand-dug, 96-mile Illinois and Michigan Canal, just 3 to 4 feet deep, extends from the Illinois River at LaSalle-Peru to Bridgeport, near Chicago. It connects the Great Lakes to the Mississippi River and the Gulf of Mexico. 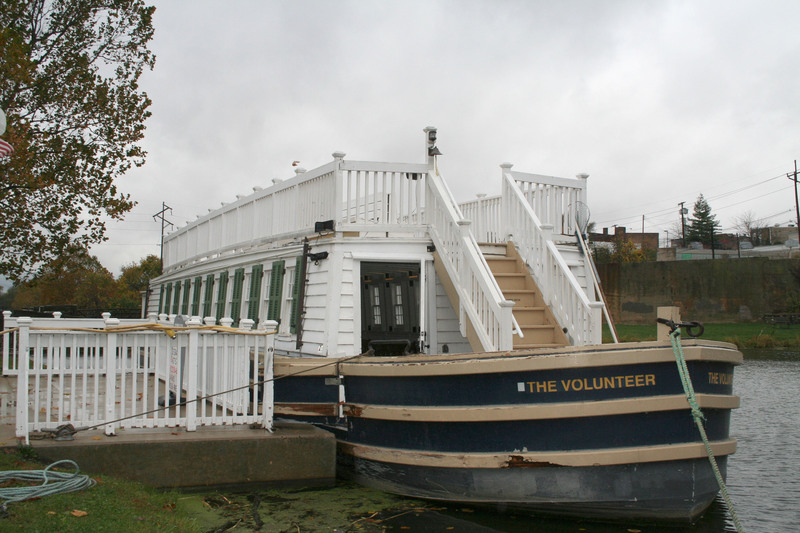 Our 76-by-15-foot boat — built in 2008, and named Volunteer — is docked in downtown LaSalle, near Starved Rock State Park and the LaSalle Canal Boat and Lock 16 Visitor Center Café & Gift Shop, which offers dining, shopping, information, exhibits, lectures, afternoon teas and cultural programs. The Visitor Center is also where tickets, even if reserved online, are picked up. They are a reasonable $14 each or just $12 for senior citizens. Kids ride free. A $2 service charge is added to each ticket for reserving seats online. All proceeds generated from the café, gift shop and ticket sales support the operations, mission and preservation of the I&M National Heritage Corridor. The boat operates three times a day. 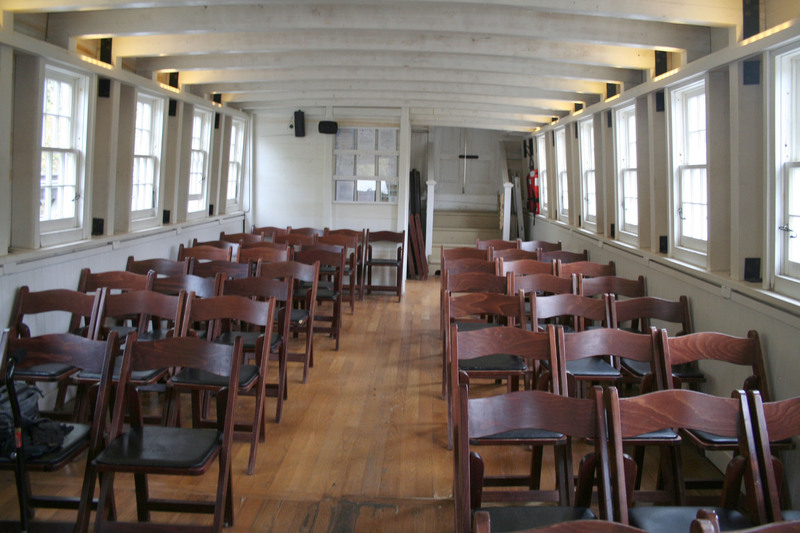 It has an enclosed first deck and an open-air second deck. The mule, walking on a path on shore, pulls the boat with little effort by a rope one half-hour in one direction, then one half-hour in the other direction back to the dock. We were on the 11:30 a.m. ride with about a dozen other passengers. A tour guide provided lots of information both before and during the cruise. 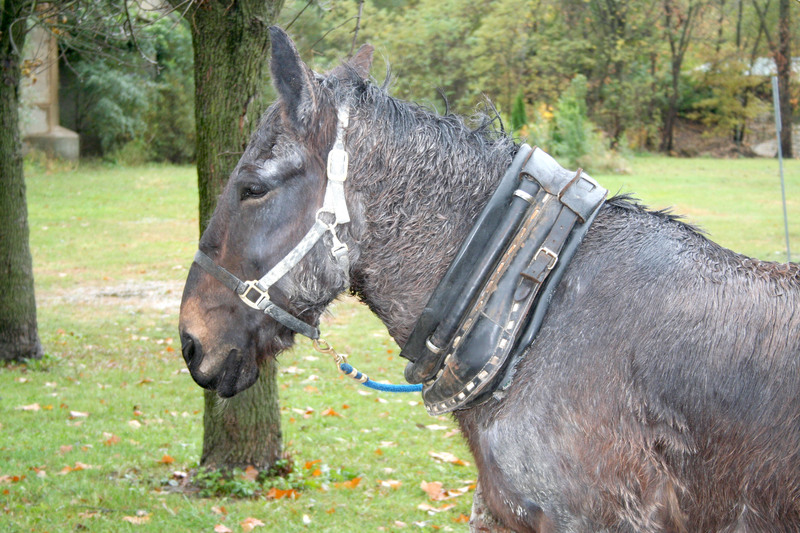 Moe, a 1,600-pound, 28-year-old mule, pulled our ride. Moe was available for petting and photographs before and after the ride. Our tour guide also gave us marshmallows to feed him as a treat. We found the LaSalle Canal Boat ride an inexpensive and relaxing way to spend some time.